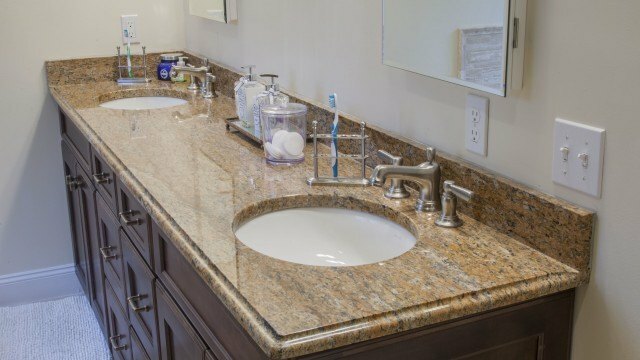 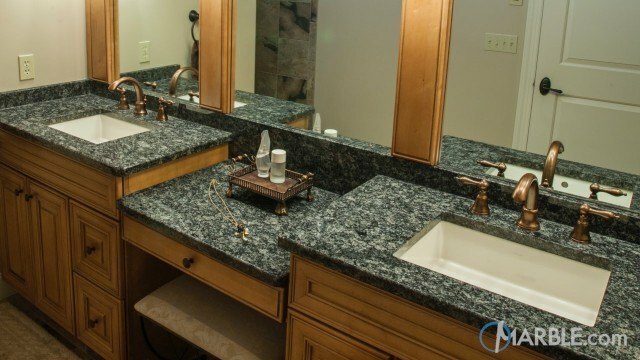 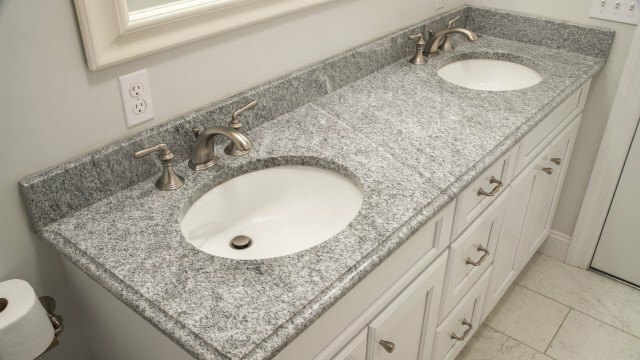 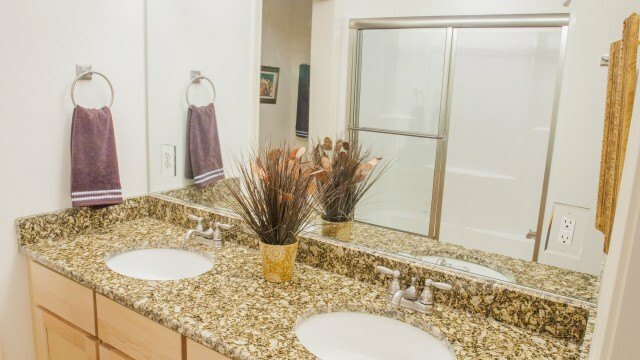 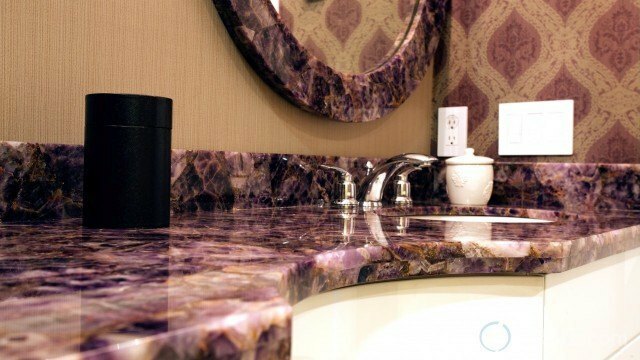 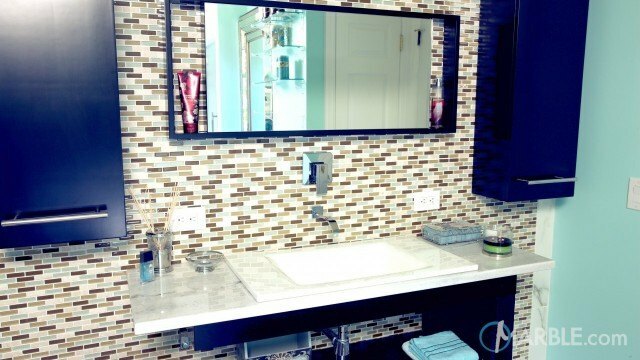 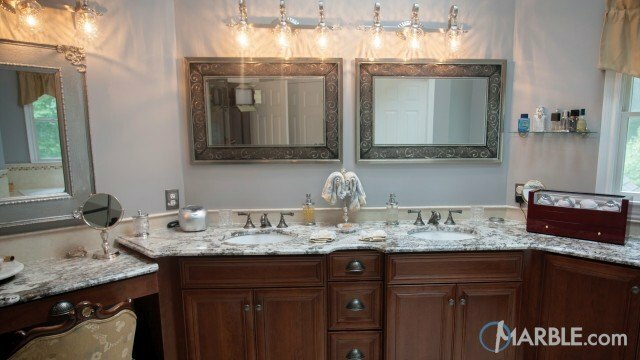 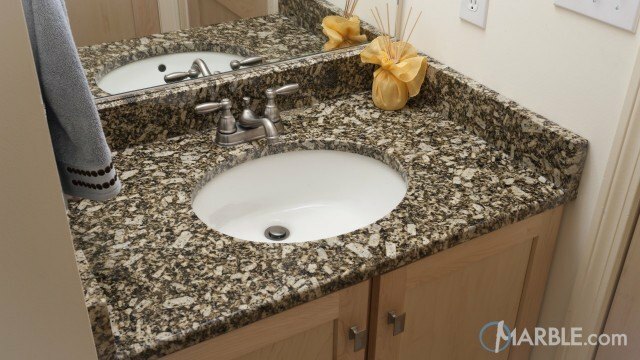 Granite is always a great choice for any project. 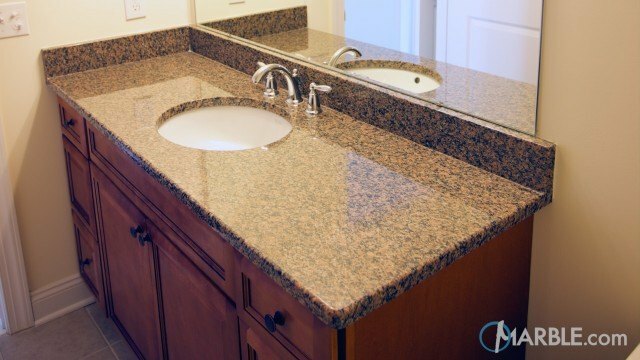 It's strong, easy to clean and beautiful to look at. 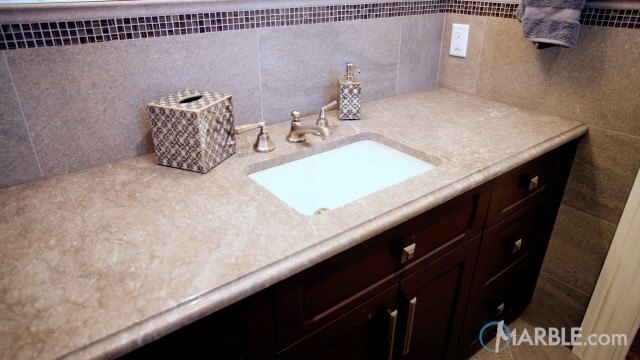 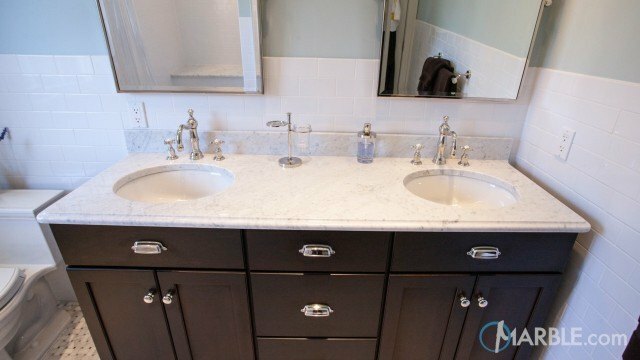 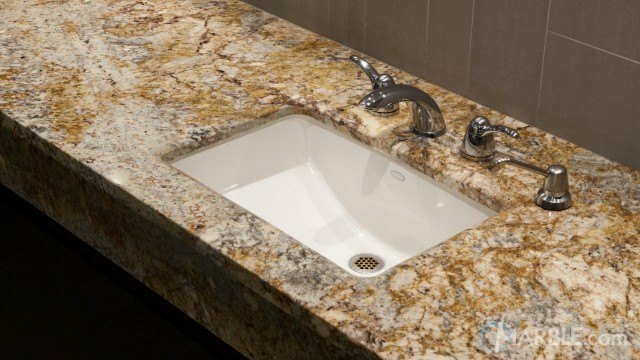 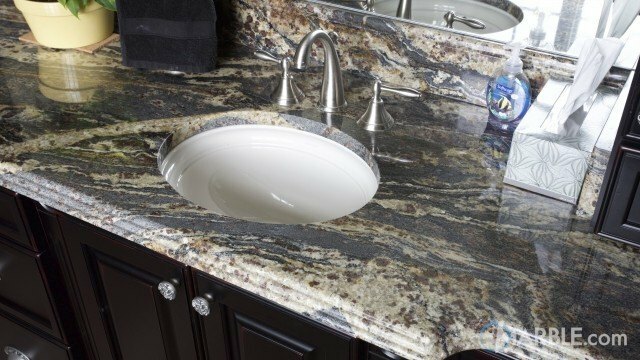 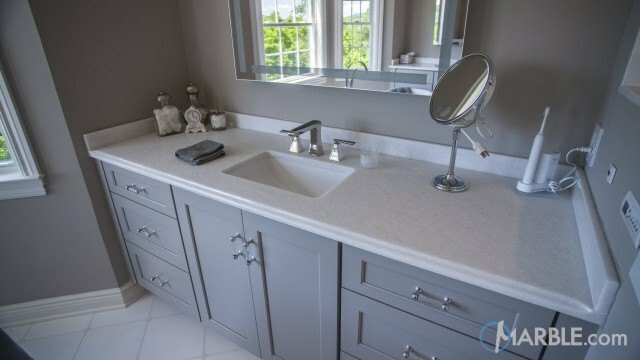 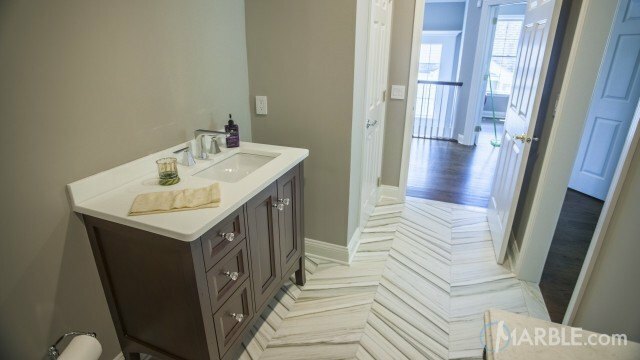 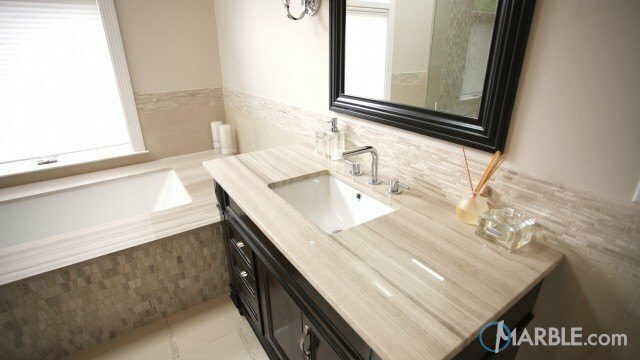 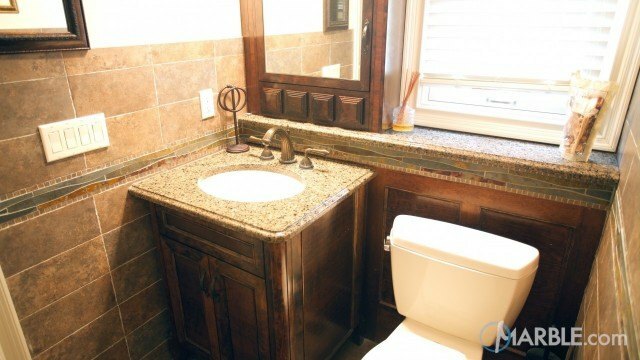 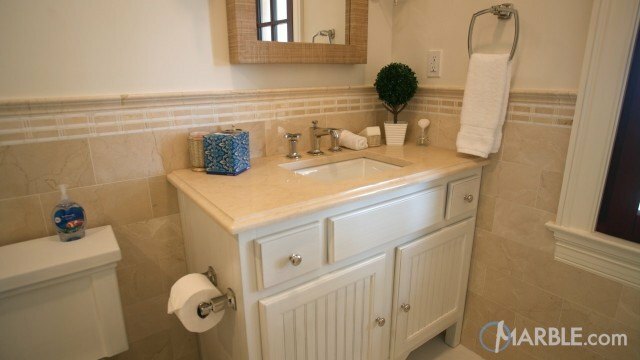 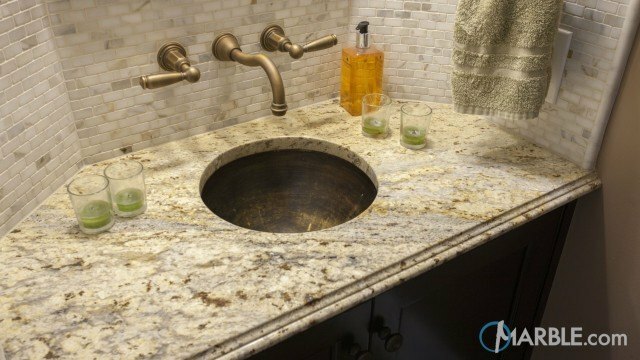 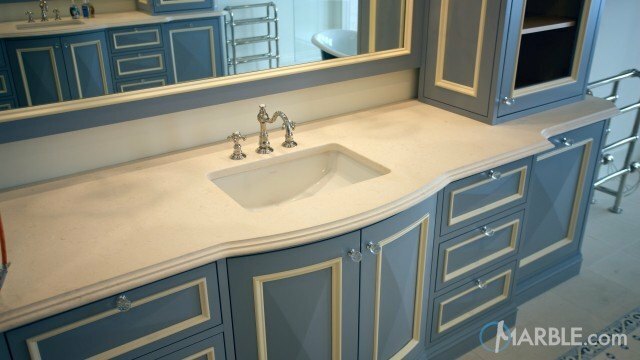 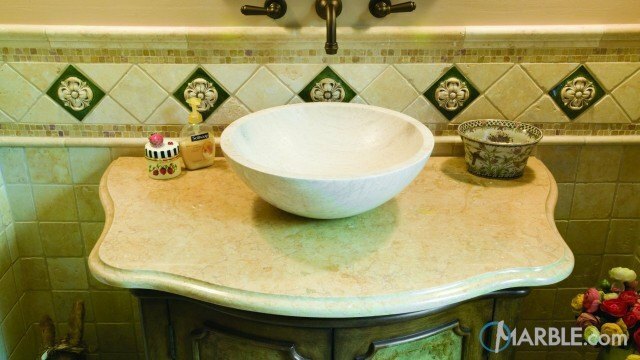 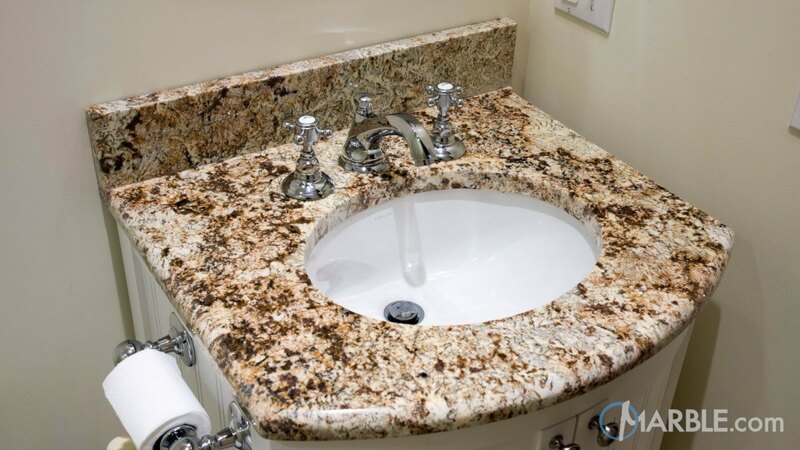 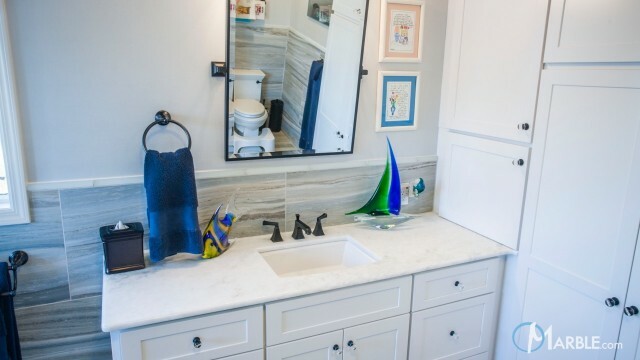 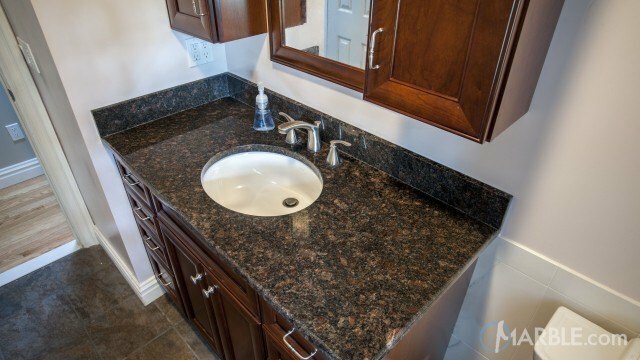 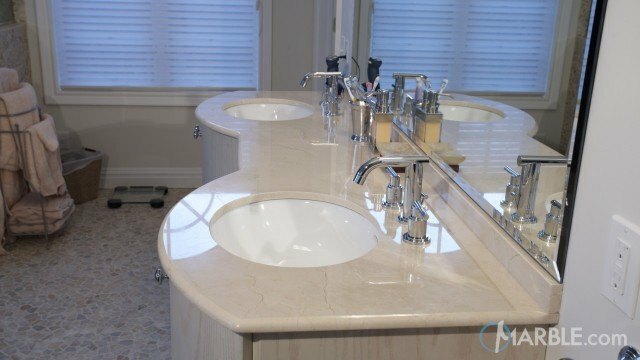 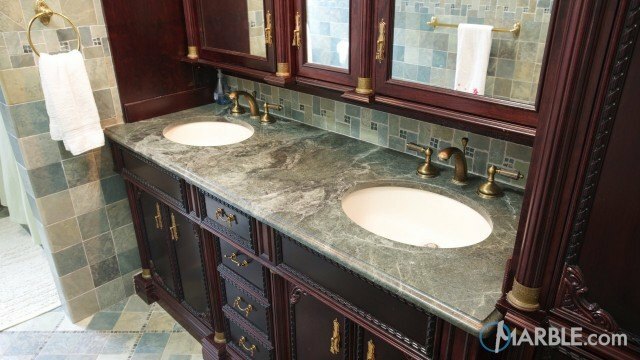 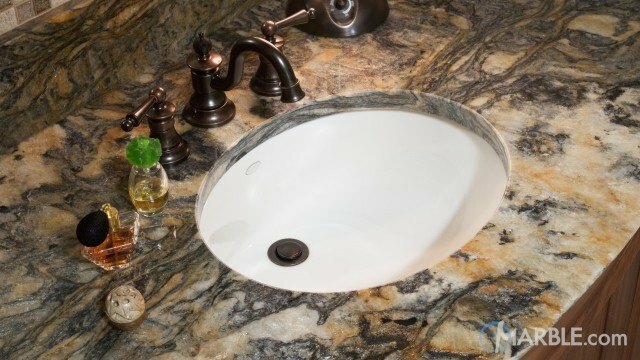 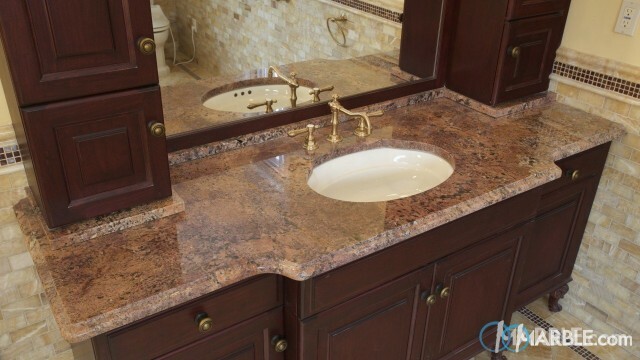 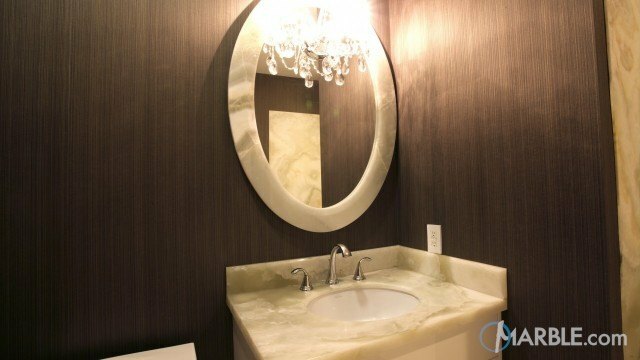 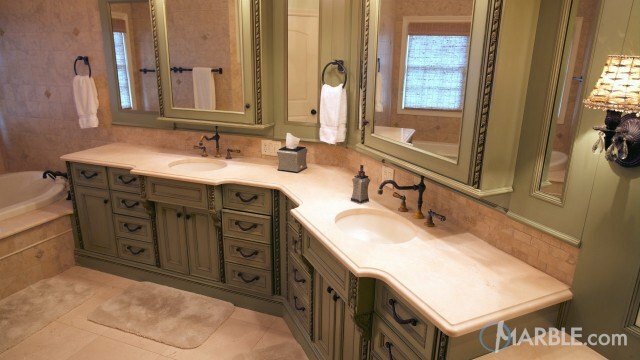 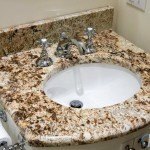 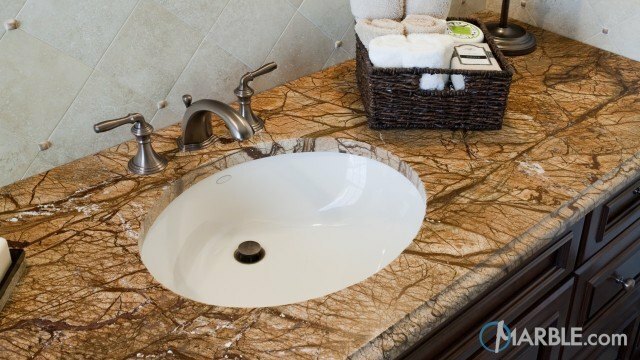 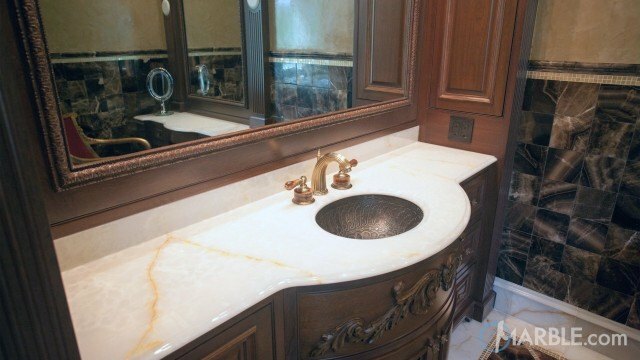 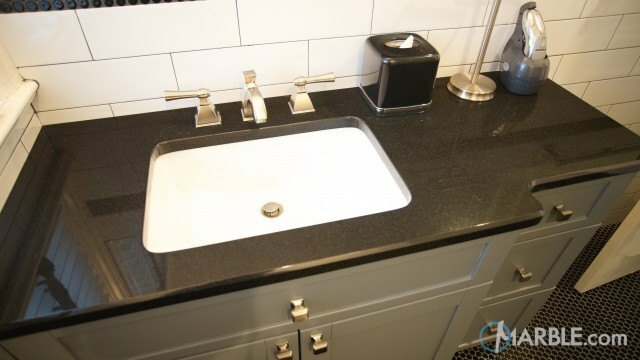 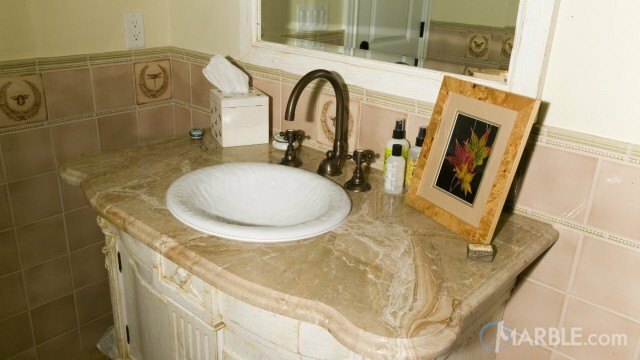 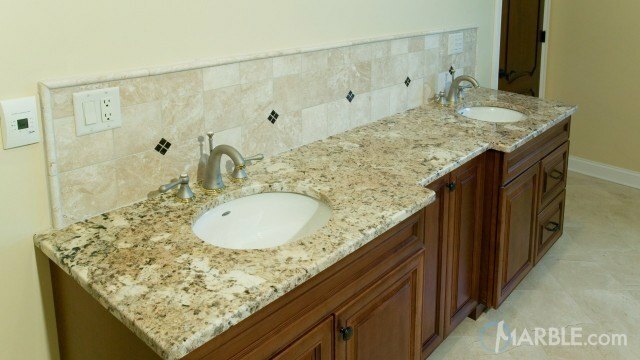 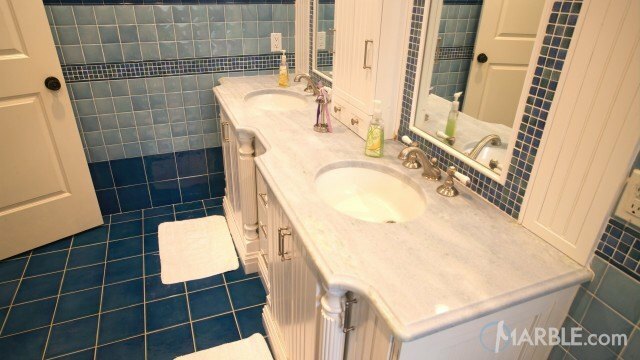 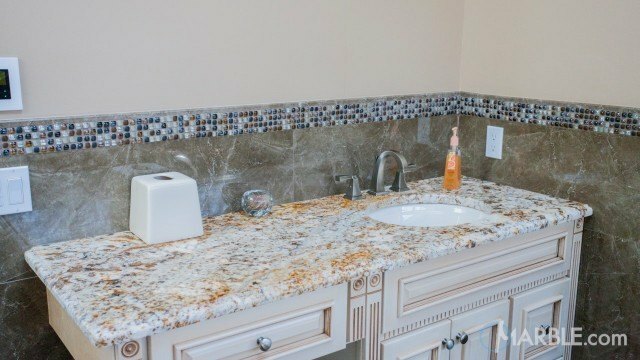 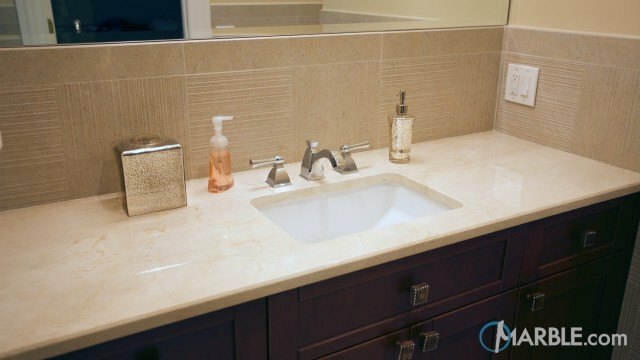 This Giallo Napole granite looks great and stands out against the white walls and white cabinets of this bathroom.